We’re always looking to eat healthy, and one of the ways that gets done is by trying to eat clean. For starters, that means no frying. It seems easy, but I still feel like things use too much oil and butter sometimes. So I was excited to try steaming our food! 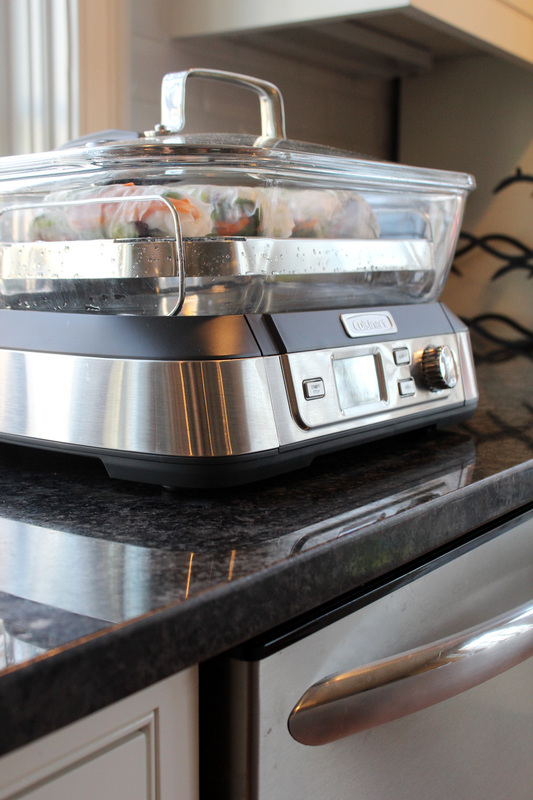 I had never used a steamer before this beautiful creation ended up in our kitchen, so naturally I needed to start out with some baby steps. I made some soft-boiled eggs, I steamed some green beans for our little girl; I was feeling good. 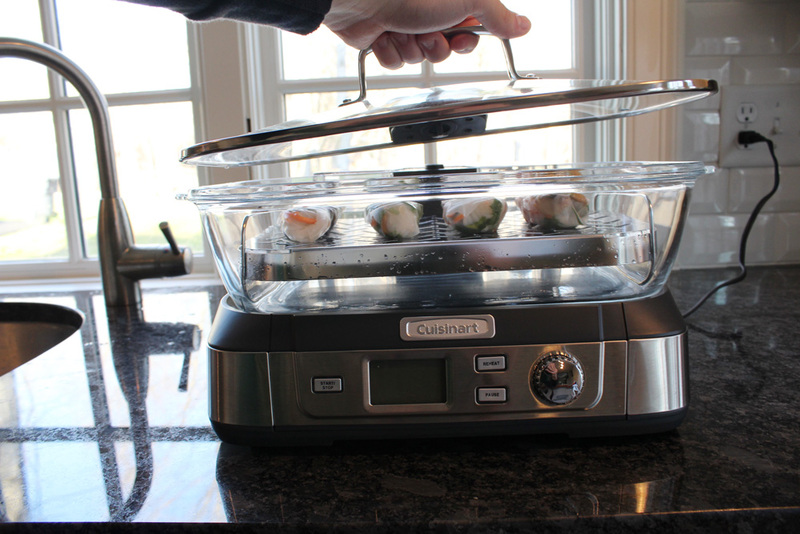 One of the main benefits of using this Cuisinart Digital Glass Steamer is that I can feel completely confident in feeding my daughter food that comes out of the steamer. I know that there was no butter and no oil being used in the cooking process. Just hot water! And I wasn’t expecting the speed – this thing is FAST. 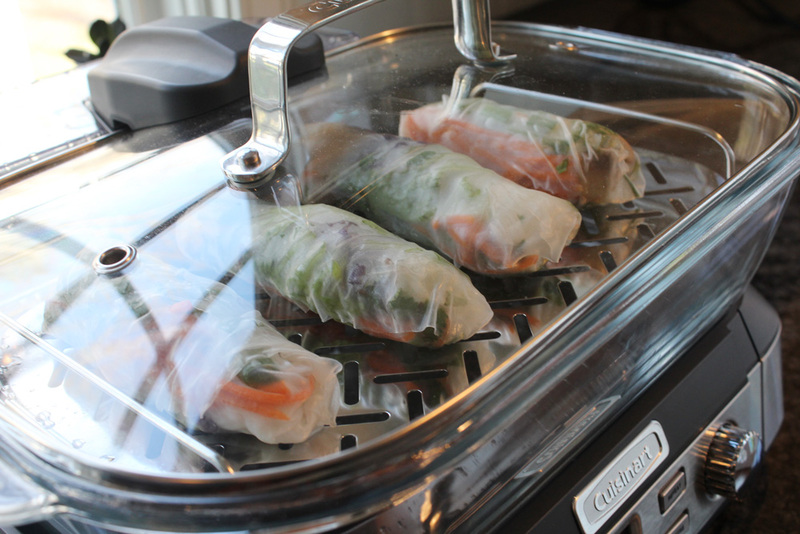 When it came time to make dinner with the steamer, we decided to make some Steamed Veggie Spring Rolls. 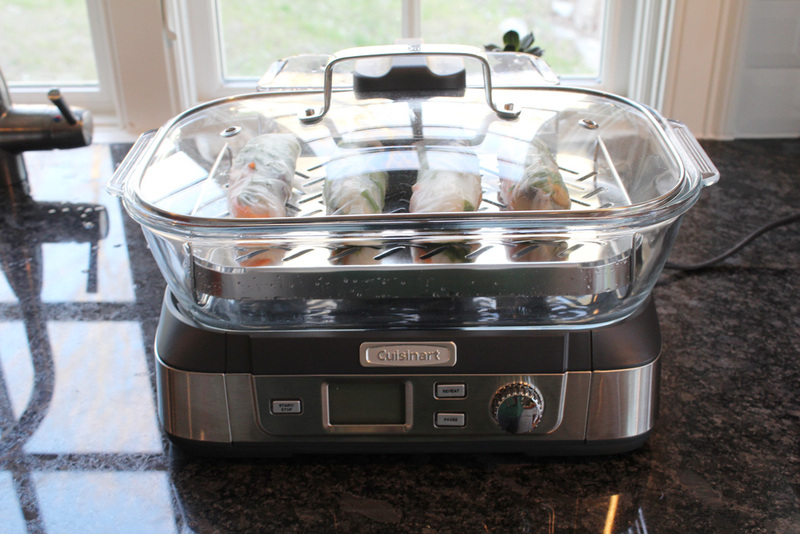 I love these spring rolls because they’re packed full of healthy, fresh ingredients that you can feel good about eating. 1. Cook rice noodles according to directions on the bag. 2. Prep the spring rolls according to directions on the bag (you soften them in water for about 20 seconds). 3. Place all of your ingredients in the spring roll and wrap it up tightly, like you would a burrito. 4. 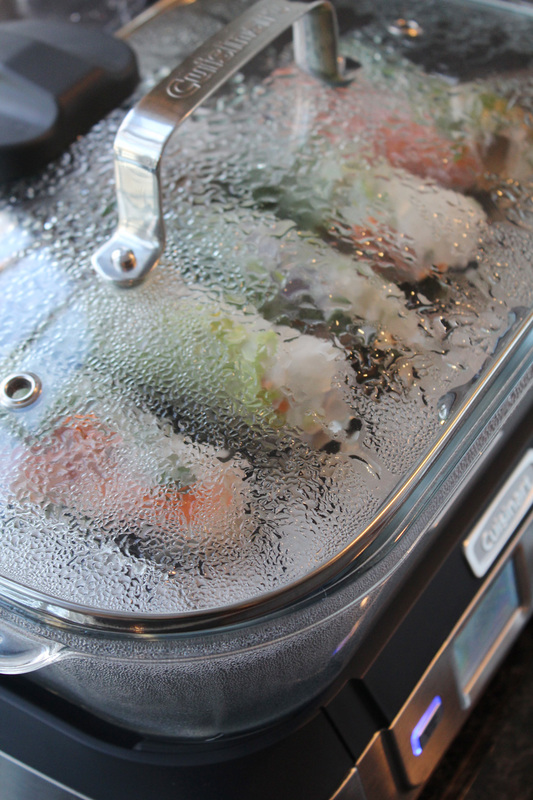 Place them on the Cuisinart Steamer tray inside the glass dish. 5. Turn the manual setting to 5 minutes, and let it do its thing! 6. Serve with some teriyaki or peanut sauce on the side.